This is a Rent to Own home located in the desirable North Penn School District. Very unique opportunity for a growing family and located near Merck. This home is in the North Penn school district and conveniently located near Montgomeryville shopping, restaurants, and entertainment. Rent-to-own Home for Sale in North Wales! 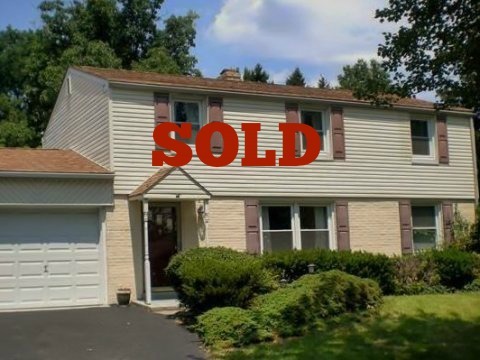 Get into this 3-bedroom Colonial on a corner lot in Upper Gwynedd Township at great price. Great area with North Penn Schools close by. Downstairs laundry off of the kitchen. Act fast to become a homeowner today! Open House Nov 12th from 12 noon to 1:00pm - Will not last long!!!! Rent-to-own Home for Sale in North Wales! Get into this 3-bedroom Colonial on a corner lot in Upper Gwynedd Township at great price. Great area with North Penn Schools close by. Downstairs laundry off of the kitchen. Basement with laundry - This home is in the North Penn school district and conveniently located near Montgomeryville shopping, restaurants, and entertainment. No Realtor Fees !! Great Opportunity to own a home !! !